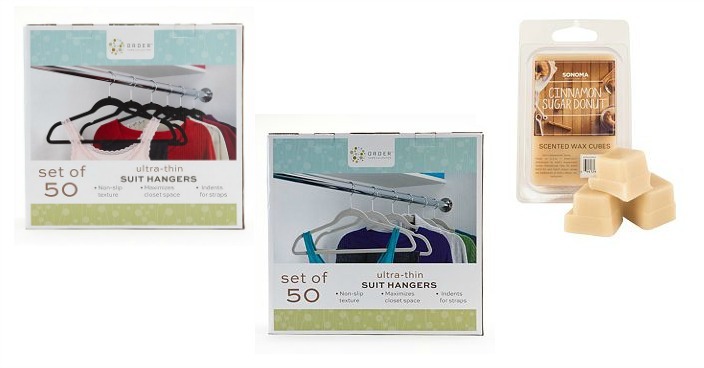 Cohesion Flocked Suit Hangers Just $15.04! Down From $50! Plus FREE Wax Melts! You are here: Home / Great Deals / Cohesion Flocked Suit Hangers Just $15.04! Down From $50! Plus FREE Wax Melts! Kohl’s has these Cohesion Flocked Suit Hangers on sale for only $24.99 (Reg. $50) but you can get it for only $15.04! Plus FREE Wax Melts! Final: $15.04 each + FREE wax melts! Final: $18.26 each + FREE wax melts!